Details at the end of this report. Welcome to the 6th Gridcoin State of the Network Report. The SotN Report is a fortnightly report organized by @parejan and @jringo. It compiles useful news and statistics that the community can use as they see fit. 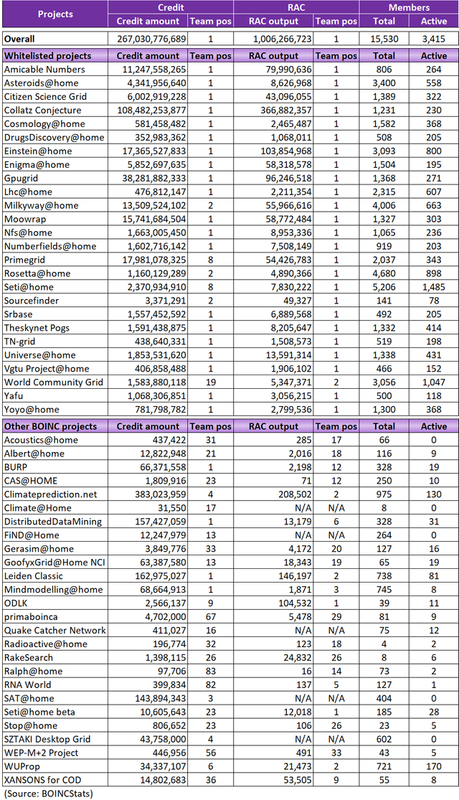 This week we have extended and organized the Community and News section and have added statistics from the Gridcoin pool. If you would like to see something added to this report, see an error, or have a suggestion, mention it in the comments below. Gridcoin 3.7.0.0 has been released! In fact, we’re up to 3.7.3.0 thanks to some quick fixes from some quick devs. A complete list of updates and fixes for 3.7.0.0 can be found here. This is a mandatory update! It activates at block 1,144,000. Update by following the instructions at the 3.7.3.0 link above. TheCharlatan has presented some points against and spurred a conversation regarding prioritizing the development of a Proof-of-Research blockchain in 2018. @jringo has also shared thoughts on the subject. @ifoggz has illustrated, patched, and begun the recovery process for a "Newbie Stake Loss" bug. He has just recently begun Phase 2 of the recovery process. @crt has developed a web and android wallet for Gridcoin which is already used by more than 100 users. The Gridcoin twitter is wrapping up the bounty-based competition for twitter media. Finalists and further details can be found here. 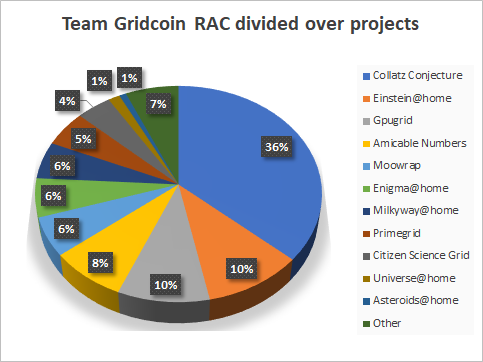 The Gridcoin Network’s Medium project continues with its second post titled An Introduction to BOINC. @grider123 has continued work on a Gridcoin paper wallet. @dr-frankenstein has brought to our attention some slick 3d-printed BOINC and Gridcoin keychains. Take a look. @zipity created a nifty adaptive mesh algorithm based on the Gridcoin logo. @donkeykong9000 has… fashioned… us some Gridcoin leggings. @grider123 has brought us two resources these past two weeks -- one shows the google trends and the other is a compilation of useful Gridcoin resources. Gridcoin was mentioned in Bloomberg Technology! This post has been resourced to several other large online media outlets. @joshoeah also started a #GRCoriginstory hashtag. @ivanviso got an article on Gridcoin and BOINC published in desdelinux! 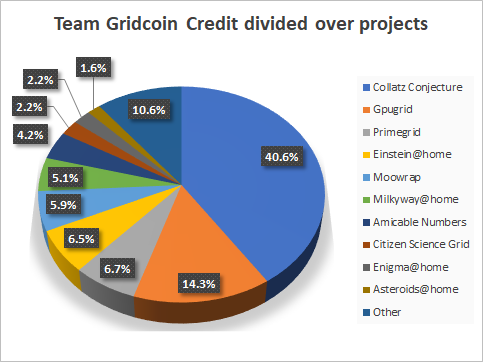 Every other week we bring you the most up to date statistics regarding the operation of the Gridcoin blockchain and the Gridcoin BOINC team and projects. The information is gathered from Wednesday to Wednesday and compiled from the getblockstats RPC command in the Gridcoin wallet, from BOINCStats, and from the GRCPool report. The table below contains the blockchain statistics of the last 2 weeks and covers blocks 1125804 to 1138632. 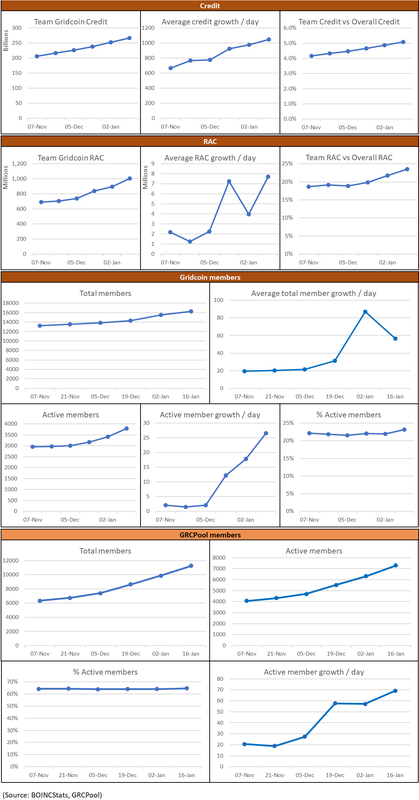 The charts below contain the project statistics of the last 2 weeks. As you may have noticed, we have been using one of the brilliant headers made by the talented @joshoeah. We are hoping that for the next SotN report, we might have a unique header to differentiate the report from other posts. To encourage submissions, parejan and myself are organizing a bounty! The bounty reward is: 150 GRC. The address will be set up by the end of this coming week. This concludes the 6th Gridcoin State of the Network Report. See you in two weeks! This is a great report! Thank you for gathering and formatting all those data. Over 11 000 active citizen researchers! On the side note, without grcpool rewarding all of us would be close to unachievable. daily no of transactions in Blockchain Statistics? total compute power in petaflops? Thanks for your suggestions @hotbit. I did a quick check and we can provide the daily transaction volume. In terms of compute power I'm quite sure we could also provide this number even on a project level. I'll check this further in the coming days to have it incorporated in the next SotN. Tell me if you need another size or something, it can be done very fast. nice blog post, clearly structured and well formatted!